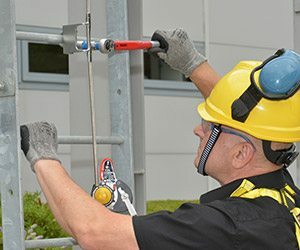 HCL Safety offers a dedicated service providing first class design, installation and on-going inspection and maintenance of fall protection systems. With over 40 years’ experience, HCL has expert knowledge to assess the risks surrounding working at height and implement the correct fall protection solutions to meet your requirements. There are many different requirements for fall protection. It can be daunting to understand exactly what is required to achieve a safe working environment. Whatever your situation, HCL has the expertise, experience and resources to support you with achieving a total work at height safety solution. From initial contact and working through the design process, to installation and ongoing annual inspection, HCL has the dedicated customer teams you need. Our network of regional managers and field technicians provide a dependable service to keep your business working safely at height. Additonally, as part of MSA, HCL operates the MSA CX program, ensuring that all customer communications and feedback are utilised to improve processes and relationships moving forward. HCL only offers quality fall protection solutions which surpass relevant European fall protection test standards. This provides you with peace of mind, knowing that reliable and durable products are being used, complemented by top-level service provided by the HCL team. a copy of our corporate brochure. 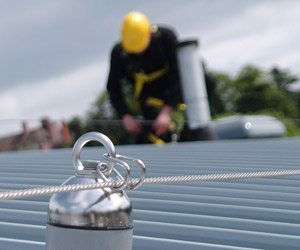 Thorough preparation is a fundamental component of any robust fall protection regime, particularly when faced with poor weather. Our A B C D guide to fall protection covers the fundamental requirements of every personal fall protection system. The "B" in our guide is for bodywear: the only acceptable piece of bodywear is the full body harness. buildings, we have the knowledge, experience and products to deliver quality retrofit installations. HCL Safety were good to deal with and provided us with all the information we needed for a product which was new to us. 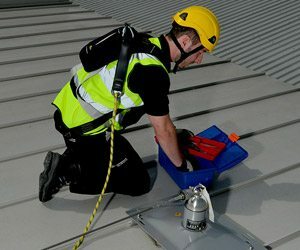 For over 15 years, HCL have been providing an I&C for our rooftop and ladder fall protection systems and they've always been organised and efficient in providing a first class service. HCL Safety go the extra mile. They're the best that I've worked with, and they're not afraid to challenge when they think that we need to adopt greater control. Good feedback and prompt delivery of quote and RAMS. They're better than other providers, in that they're quicker and more responsive and they've always got their paperwork up to date. Everything is excellent. MSA Safety Incorporated is the global leader in the development, manufacture and supply of safety products that protect people and facility infrastructures. 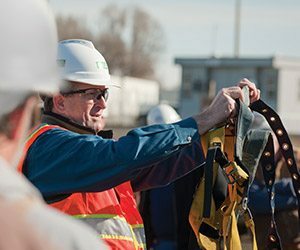 From the specification, through planning to purchase and implementation MSA Safety assures companies of high-performance products and expert partnerships at every point of the journey.